The future of cryptocurrency with UK online gambling is looking decidedly rosy, and the media’s fascination with Bitcoin in particular shows no signs of slowing down. The entire cryptocurrency business as a whole has profited from this exposure with an enormous boost in their respective values. All of this positive reporting has lead to an increase in people realising the potential of cryptocurrencies and trusting them. This is especially true when it comes to online gambling. When you look at the increase in value for the majority of cryptocurrencies, it’s not hard to see why they have caught on. Here are just a few examples of the increase in value for the most popular virtual currencies. With rapid increases in value such as these and prices regularly spiking overnight, the gambling industry would have been fools to ignore them as a passing phase. Fortunately they didn’t, and cryptocurrencies are becoming more widely accepted each day. The more sites that start to accept them is bound to have a positive effect on the value of the currency. One thing’s for sure; cryptocurrencies are here to stay. Even though cryptocurrencies may be in their infancy when it comes to being used as a method of payment for gambling, online gambling is far from new. Online gambling has been around since the mid-1990’s, which means the best online casinos have had plenty of practice at making their sites secure. This is a lot of personal information, and in the wrong hands it could prove to be catastrophic for whoever’s identity is being used. This is why regulation is so important. There are several software providers which run these websites including Real Time Gaming and Novomatic slot software which are found on many sites. Aside from keeping your details safe, an online gaming site has to abide by strict rules to operate. All online gambling sites must have a license to operate by law and they also have to be transparent with you about your account information. They must also emphasise that gambling can be addictive and offer help if you feel like you are not in control of your betting. Even no deposit casino sites should have the same regulations and it should be made clear that certain games do require a deposit. This is all very encouraging. It shows that the Gambling Commission are taking cryptocurrencies seriously and are genuinely trying to look out for the welfare of their online customers. Despite cryptocurrencies not being regulated by any bank or treasury, the sites that accept them are regulated. This all helps to inspire confidence for the future of cryptocurrency with UK online gambling. If the financial watchdog is taking it seriously then they must believe that virtual currency is here for the long haul. With all the frenzy surrounding Bitcoin it has allowed other cryptocurrencies to manifest themselves and become quietly successful. As a result, gambling brands including new online bingo sites have started to accept a wider variety of cryptocurrencies. The more currencies that become accepted, the better for the customer. The future of cryptocurrency with UK online gambling becomes that much brighter because it gives us more choice. The more choice we have as customers means that the gambling sites will have to work harder for our patronage – which means better bonuses and more of them. Funfair – One of the new kids on the block – Funfair was only introduced in June 2017. It was so popular on its launch that the $26 million of reserves for it’s phase 1 initiative all sold out within four hours. It is based on the most popular blockchain, Ethereum, with the idea of promoting transparency between the site and the customer. Edgeless – Also based on Ethereum. Edgeless are an online casino that boast a 0% house edge. By using Ethereum it is mathematically impossible for the games to be rigged. This makes Edgeless casino payments an extremely trustworthy prospect. Both Funfair and Edgeless use blockchain technology for provably fair gaming. What this basically means is that details of a transaction are coded onto a ‘public ledger’. This is called a blockchain. The progress of the transaction is available for all to see on the blockchain, but the data itself remains 100% secure. It is this technology that allows for total transparency, and in the case of the latest online casinos, has been something of a revelation. There are literally hundreds of different cryptocurrencies that you could gamble with, providing the site that you frequent accepts it. 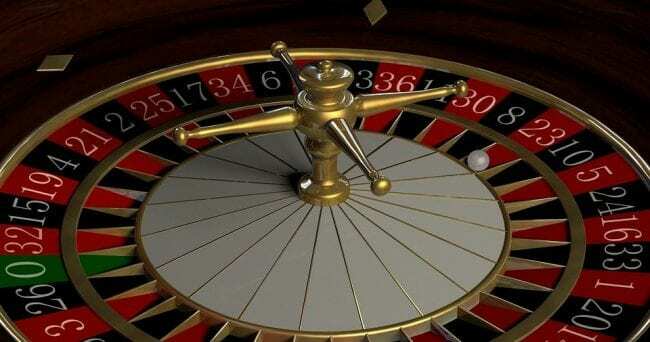 One thing is for sure, if currencies like Funfair and Edgeless keep reinventing the wheel and making transaction clearer, faster and easier, then online gambling as we know it could be turned around 180 degrees for the better. The main advantage with cryptocurrencies for a lot of people (i.e, the gambling operators), is that they are deregulated. What that means in simple terms is that because the currencies are virtual, they are not owned or controlled by a bank, treasury or law of any state or nation. They are issued, owned and controlled by the people that develop them and the people that use them. This deregulation is advantageous to the gambling industry. Some banks impose tight restrictions on sending and receiving money from online gambling institutions and cryptocurrency allows for this issue to be sideskirted. If the people using the currency are the ones controlling it, they can essentially do what they like with it, especially gamble. This also ties into an advantage concerning legality. There are some parts of the world where online gambling is banned. Because cryptocurrency is still relatively new, the legislation of it is still trying to play catch up. This means that it is actually easier for customers to gamble online using virtual currencies. Another huge benefit of online currency is the lack of fees. There are virtually no fees when using them to play things like live Baccarat games, making transactions cheaper all round, a massive plus point for gambling. However, all of this could change if Governments decide to start regulating cryptocurrencies like regular fiat money. It is entirely possible that regulated cryptocurrencies have the potential to disrupt the gambling industry. The appeal of cryptocurrencies lie in their anonymity, their transparency and their lack of fees. Regulation could change all of this. Transactions could be subject to tax, it could stop new currencies joining the market, and faith could be lost in the medium altogether. The whole idea of cryptocurrencies were to cut out the middleman, i.e the banks, to give control back to the users. Regulation would defeat the purpose of cryptocurrencies altogether and the value could plummet. This could be a massive setback for the gambling industry who have invested a lot of time and money promoting cryptocurrencies. If virtual currency suddenly becomes bound by the regulatory restraints of fiat money then people will abandon it and the industry could lose a fortune. This doesn’t look as though it is on the horizon any time soon, though. What with Brexit making the value of the pound volatile and interest rates at a record low to keep the economy turning over, cryptocurrency is the last concern on the Government’s mind. The usage of cryptocurrency in online gaming has increased massively over the past few years. Punters are taking advantage of fast payouts, little to no transaction fees and the same variety of gameplay that conventional payment methods offer them. Virtual currencies have become so popular in fact, that even the bigger online casinos are now accepting cryptocurrencies as payment. The gambling industry has always been at the forefront of new technology, and this is yet another example of that. Using cryptocurrencies to play with is simple, too. Other than the money being virtual rather than in coin or note format, placing an online bet or playing a game is just as easy as using conventional forms of payment. You can use cryptocurrency to play bingo, online slot machines, poker, craps, roulette, bet on sports and much more. All you need is an online wallet and some currency to use. In short, cryptocurrencies have revolutionised online gambling. Their simplicity, transparency and rapid rise to fame have ensured that they have endeared themselves to the world of online gambling. Thanks to this the future of cryptocurrency with UK online gambling looks more prosperous than ever before. Ethereum is causing quite a stir in the online gambling world at the moment. This is game changing block technology for UK gambling because it is inspiring a level of previously unheard of trust between operators and punters. In addition to creating their own incredibly successful cryptocurrency, Ethereum designed an innovative way of distributing transactions; blockchains. Not only were they safer than ever, but because everyone in the blockchain had access to the progress of all transactions, the chances of piracy, fraud and hacking decreased exponentially. The blockchain method of making a transaction caught the eye of the gambling industry. It was seen as an alternative to other things like casino PayPal and they realised that this heightened transparency between the operator and the players could prove advantageous. With full disclosure this would mean that the house edge would be reduced considerably, even to the point where there was no house edge at all. As predicted, punters liked this arrangement and started to flock to blockchain gambling sites in droves. It is this level of openness and trust that the future of cryptocurrency with UK online gambling will be built upon. Ethereum is just the beginning. Technology is always advancing and it won’t be too long before another innovation comes along that makes Ethereum look dated. But it is the way that Ethereum is changing the face of gambling that is so exciting. It will inspire the next generation of cryptographers and this can only benefit online gambling. It is no wonder so many people are now using this method of payment for betting if it can offer all of these advantages over fiat money. There are new cryptocurrencies popping up all the time and this will only give gamblers even more options. Many people are starting to use Ethereum for online betting as this is one of the most popular digital currencies. Given this amount of enthusiastic support, decentralised digital currency betting is only going to continue to grow. Bingo has always been one of the most popular games to play online. Bingo enjoyed a massive resurgence once online gaming came into being and is now a huge business in its own right. Americans alone spend over $10 billion a year on bingo – and that’s just with fiat money. Although Bitcoin was not the first ever cryptocurrency, it was the first to become a highly successful decentralised currency. Now, Bitcoin is the poster child for all other cryptocurrencies, and leads the way when breaking into new territories such as bingo. Online bingo operators simply could not ignore all the positive press that Bitcoin was getting. Once they started accepting Bitcoin as a payment method they were flooded with new players. Loads of Bitcoin bingo sites are now available online for you to sign up to. The rest of the cryptocurrency world would soon follow suit. 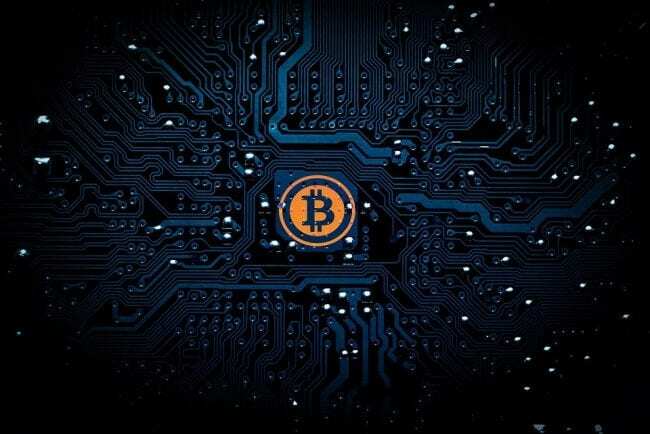 As other currencies such as Ethereum, Vertcoin, Funfair and Dogecoin started gathering momentum, they also started to be accepted as a valid currency. The result is that bingo is now more accessible than ever. The inclusion of cryptocurrencies in bingo have given both industries a second wind and their futures looks extremely bright. Another form of gambling that has benefitted from the inclusion of cryptocurrencies is slot games. Slots have always been massively popular with online gamers but the introduction of cryptocurrencies in slots has increased that popularity tenfold. 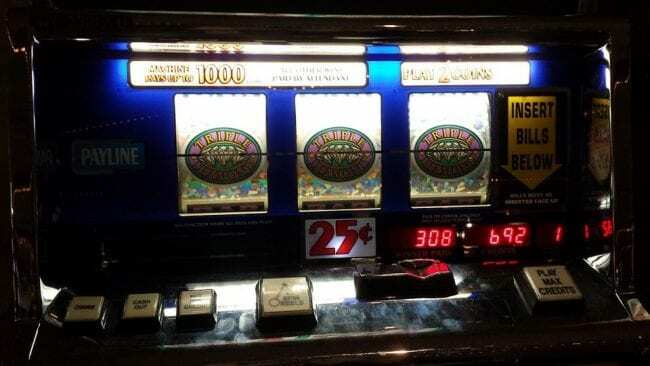 As with online bingo players, the convenience, traceability, and lack of fees all make virtual currencies an incredibly attractive prospect to slots players. They still have access to all of their favourite games on the Bitcoin slots sites, but now they can choose from a variety of currencies that could potentially make them even more money. For example, a customer might win £100 on a slot game. The cryptocurrency values are notoriously volatile, so they could withdraw that £100 and depending on the current market value it could be worth far more than that. This is just one more reason why cryptocurrencies in slots games have taken off with such a bang and show no signs of abating. Another option is Ethereum cryptocurrency for slots which many people are now starting to use. Using decentralised online currency for casinos is the future of cryptocurrency with UK online gambling. With recent events such as the Northern Rock debacle and the banking crisis in Greece where the country almost went bankrupt, people have rightly lost faith in regulated forms of currency. By having a decentralised currency that has no limitations placed on it by banks, Governments or treasuries, casinos can play to the currencies’ strengths. Little or no fees, no chargebacks, and ultra-fast transaction speeds are all bonuses when it comes to the online casino experience. Players love this new found freedom that decentralised currency is giving them and the online casino business is booming as a result. Loads of Bitcoin casino sites can be found online if you want to give them a try. Sports betting using crypto payments is quickly catching up to its traditional rival. The confidence displayed in crypto payments by bookies has helped it to expand more rapidly than anyone thought possible. Some of the bigger online sportsbook keepers are now starting to take notice too. There has been a sharp increase of sports bets being paid for in cryptocurrencies over the past three years and it shows no signs of slowing down. If anything, the growth of Bitcoin sport betting seems to be speeding up. There is no restrictions to what you can bet on. You can still bet on all the sports you would normally bet on, with the same odds and the same flexibility of in-game betting. You will probably get even better welcome incentives and bonuses to encourage you to use this payment method, so why not start using crypto payments to place your sporting bets? The future is cryptocurrency. This safer payment method was designed to give power back to the people and bypass the banking system. By letting the users distribute and control the currency it would not be unfairly influenced by interest rates and financial downturns. It would seem that the future of cryptocurrency with UK online gambling can only grow in terms of reach and strength in the coming years. With new methods like Funfair casino deposits coming through to the mainstream market, there are plenty of options. Not only does it inspire faith through transparency, but the lack of any details attached to transactions allow for data protection to take precedent. Expect great things from cryptocurrency and strike now while the iron is hot, because this is not some passing trend. It will grow and adapt. The youth of today spend so much time online that it’s entirely possible that physical money could soon become antiquated. Watch this space.